Due to the richness of its terroir and its history, Balinese cuisine is renowned for its extreme variety and tasty specialties. In Dajuma our chefs are used to sharing their know-how… and their cooking secrets… with our customers. Just make an appointment, put on the apron and work with them for a while. 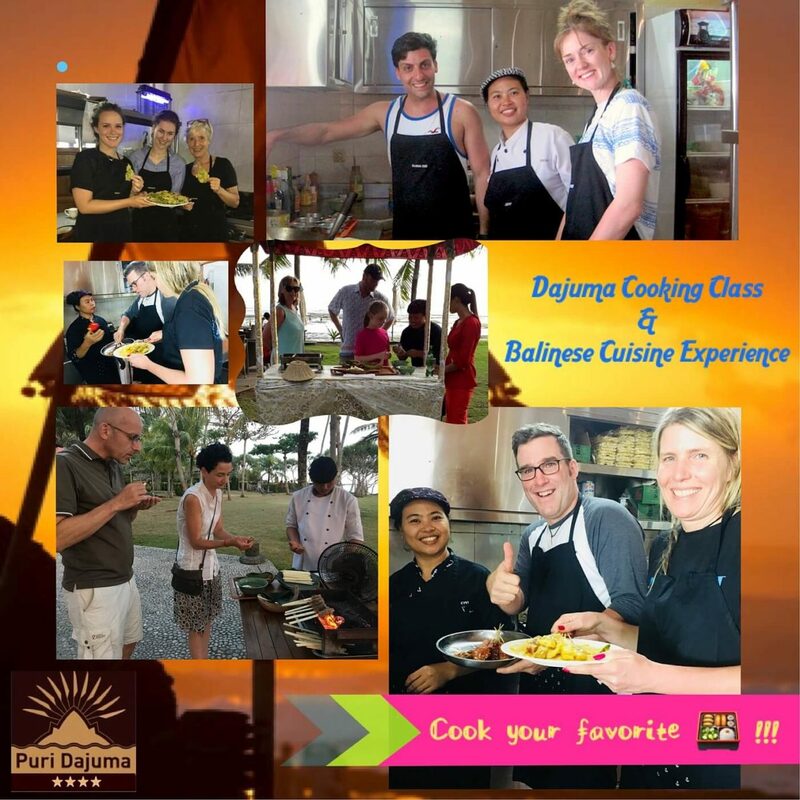 You will learn how to make these flavorful sauces from the spices of the island and cook some of the local specialties that have made Bali’s culinary reputation. You will be really surprised by the inventiveness of this cuisine!